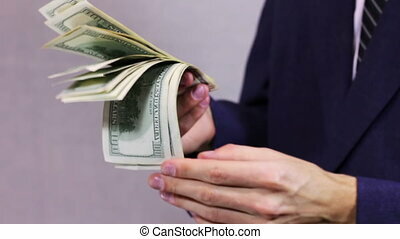 Counts a wad of money in his hands. 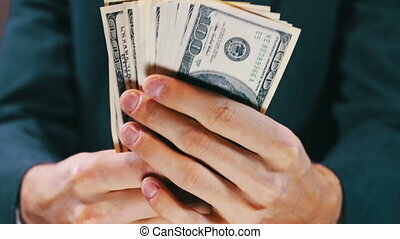 Businessman with wads of money in hands. 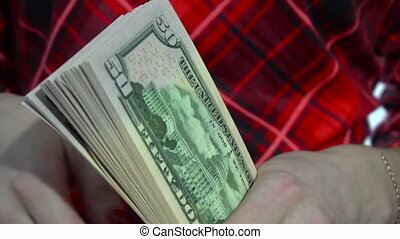 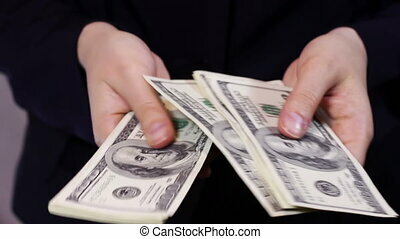 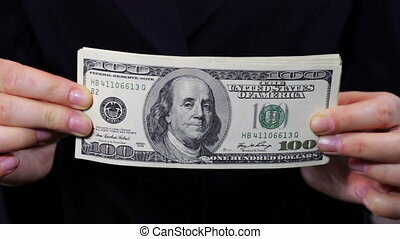 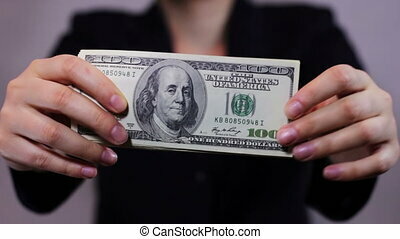 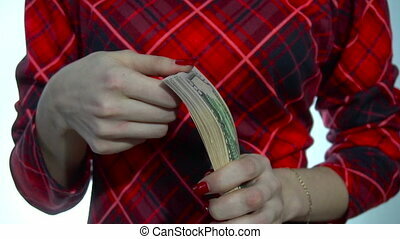 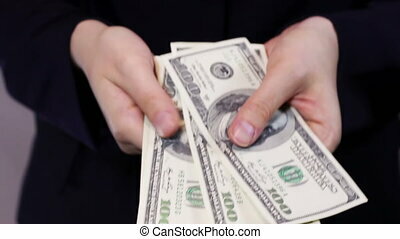 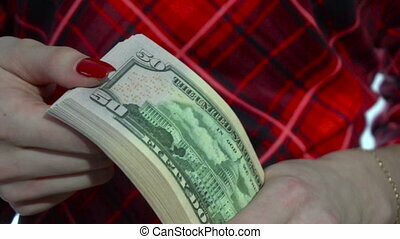 Business woman Counts few thousand dollars by holding them in his hands. 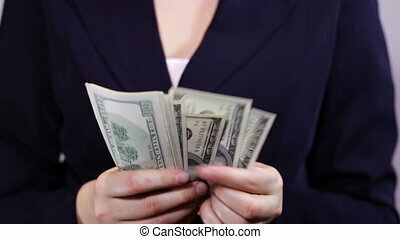 Business ladies dressed in a business suit. 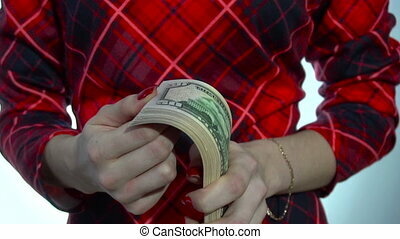 Close-up hands of a woman with money in hand. 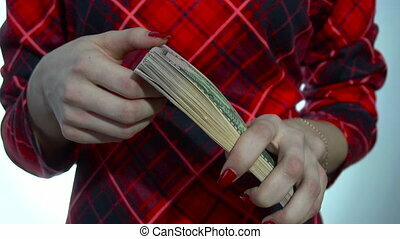 Wads of money in the hands of a business woman.